Adele is member of the Education Contexts group within the School of Education. 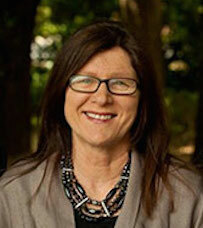 Adele is currently the Higher Degree Research (HDR) Coordinator within the School. Her research is primarily focused on the teaching of History in Universities in Australia and, more recently, the UK. Adele is co-editor (with Professor Jennifer Clark) of the book Teaching the Discipline of History in an Age of Standards (2018). Additionally, Adele is interested in exploring and promoting the collaborative practices and opportunities for research within Higher Education. Her teaching at UNE is centred on qualitative research methods with pre-service teachers, the internship program and the Enhanced Teacher Training (ETT) scholarship program. Rebuilding Communities: The impact of major fires on rural schools in Australia. Nye, A. (2018). 'Why Study History? ': An examination of online statements in Australian universities 2008 – 2016. In Neumann, F. & L. Shopkow (Eds.). Teaching History, Learning History, Promoting History, Wochenschau Verlag: Schwalbach. Clark, J. & Nye, A. (2018). The three contexts of writing about history teaching. In Clark, J. & A. Nye (Eds. ), Teaching the Discipline of History in an Age of Standards, Springer: Singapore. Collins, M. & Nye, A. (2018). Snapshot: the discipline of history in British and Australian universities. In Clark, J. & A. Nye (Eds. ), Teaching the Discipline of History in an Age of Standards, Springer: Singapore. Nye, A. & Clark, J. (2018). Leadership: Enabling leadership in the Teaching and Learning of History in higher education. In Clark, J. & A. Nye (Eds. ), Teaching the Discipline of History in an Age of Standards, Springer: Singapore. Clark, J. & Nye, A.(Eds.). (2018). Teaching the Discipline of History in an Age of Standards, Springer: Singapore. Nye, A. (2016). Historical Thinking and Objects of Nostalgia, International Journal of Research on History Didactics, History Education and History Culture: Yearbook of the International Society of History Didactics. 37, 37-57. Nye, A. (2015). Rethinking Evidence: Assessment in the History Discipline in Australian Universities In P Layne and P. Lake, (eds.) Global Innovation of Teaching and Learning in Higher Education, Springer, pp.91-104. Nye, A., Barker, L. & Charteris, J. (2015). Matrilineal Narratives: Learning from Voices and Objects, Hecate: An Interdisciplinary Journal of Women’s Liberation. 41(1-2), 180-190. Nye, A. (2013). Consolidating Strengths and Innovations: An investigation of National Standards and Units in History at the University of New England, prepared for School of Humanities, University of New England, NSW. Australian Learning and Teaching Council (2009). Historical Thinking in Higher Education: An ALTC Discipline-Based Initiative. Sydney, Australia: Hughes-Warrington, M., Roe, J., Nye, A., Bailey, M., Peel, M., Russell, P., Laugesen, A., Deacon, D., Kiem, P. & Trent, F.
Hughes-Warrington, M. & Nye, A. (2009). Historical thinking in Higher Education: Staff and student perceptions of the nature of historical thinking. History Council NSW Bulletin, Spring Edition. Nye, A., Hughes-Warrington, M., Roe. J., Russell, P., Peel, M. Deacon, D., Laugesen. A. & Kiem, P. (2009). Historical Thinking in Higher Education: Students and Staff Perceptions of the Activities Associated with Historical Thinking, Teaching History, 43(3), 29-34. Nye, A. (2008). Learning Outcomes in History: An analysis of online statements from history departments in Australian universities, prepared for Historical Thinking in Higher Education Steering Committee Macquarie University, NSW. Nye, A. (2008). Why Study History? An analysis of online statements from history Departments in Australian Universities, prepared for the Historical Thinking in Higher Education Steering Committee, Macquarie University. NSW. Nye, A. (2006). Women as Historians: The Fragrance of Matrilineal Historicism. In Proceedings of the 14th International Oral History Conference: "Dancing With Memory: Oral history and its Audiences", Sydney, Australia, University of Technology. Reyes, V., Charteris, J., Nye, A., & Mavropoulou, S. (Eds.). (2018). Educational Research in the Age of the Anthropocene. Hershey, PA: IGI Global. Charteris, J., Nye, A., & Jones, M. (2018). Feasible utopias and affective flows in the academy: A mobilisation of hope and optimism. In Garvis, S. & A. Black (Eds. ), Women Activating Agency in Academia, (pp. 67-78). London: Routledge. Charteris, J., Nye, A. & Jones, M. (2017). Wild Choreography of Affect and Ecstasy: Contentious pleasure (joussiance) in the academy. In S. Riddle, M. Harmes & P. Danaher (eds), Producing Pleasure Within the Contemporary University. Netherlands: Sense Publishers pp. 49-64. Barker, L. Nye, A. & Charteris, J. (2017). Voice, Representation and Dirty Theory, Postcolonial Directions in Education, 6(1), 54-81. Somerville, M., de Carteret, P., Edwards. H., McKay, F., McConnell-Imbriotis, A. & Nye, A. (2004). The Aesthetics of learning: the Song and Dance of the women of the Fiery Cottage. In Proceedings of the Adult Learning Australia 44th Annual Conference. Nye, A. (2016). ‘Working form the boot of a red Falcon’: The impact of major fires in four Australian schools. Australian and International Journal of Rural Education, 26(1), 83–98. Nye, A. (2014). Connections of Place and Generation: Women Teachers in Rural Schools in NSW, Australian and International Journal of Rural Education, 24(3), 69-81. Nye, A. (2018). Imaginative and Enabling Pedagogies for Undergraduate Students of the History Discipline. ISSOTL 18 Towards a Learning Culture, Bergen, Norway. 24-27 October. Nye, A. (2017). Defining and Measuring Excellence in the Teaching of History in Higher Education. History: New to Teaching Conference, Institute of Historical Research, Senate House, University of London, 12 September. Nye, A. (2017). History’s Generations: Imagination and the open gate. Australian Association for Research in Education (AARE), Canberra, ACT, 26-30 November. Charteris, J., Nye, A., Jones, M. & Page, A. (2017). Affective flows in the media firestorm: Belonging, lust, resistance, and hope through the networked gaze. Association for Research in Education (AARE), Canberra, ACT, 26-30 November. Nye, A. (2016). Researching the History Discipline in Australian Universities: three national studies, Australian Association for Research in Education (AARE), Melbourne, VIC. Nye, A. & Posthausen, G. (2016). Refiguring Leadership: Rebuilding Schools After Fire, Australian Association for Research in Education (AARE), Melbourne, VIC. Charteris, J., Jones, M. & Nye, A. (2016). Joussiance as an ecstasy of escape: Refrain in the academy, Australian Association for Research in Education (AARE), Melbourne, VIC. Barker, L., Charteris, J. & Nye, A. (2016). Learning Through Generations: Matrilineal Narratives of Care, AWGSA De/storying the Joint, International Biennial Conference, Queensland University of Technology, Brisbane. QLD. Nye, A. (2016). Shaping the Discipline: Teaching History in Australian Universities. Teaching History in Higher Education, Bielefeld University, Bielefeld, Germany, 24-25 May. Nye, A. (2016). Global History in Australian Universities Global History Panel -Teaching History in Higher Education, Bielefeld University, Bielefeld, Germany, 24-25 May 2016. Clark, J. and Nye, A. (2015). 'Surprise Me': The (im)possibilities of agency and creativity within the standards framework of History education. Teaching History: Fostering Historical Thinking Across the K–16 Continuum, University of California, Berkeley 1-2 May.